If you are looking to strengthen your brand online, then look no further. At Digiora, we provide targeted digital branding services to companies. Social Networking profile branding, Web Site and Web Applications GUI Design, banner ads, landing pages and online videos are services we offer to increase brand visibility across the digital platforms and increase audience reach. Branding- differentiating your cow from all the other cattle on the range, when all the cattle in the range look pretty much alike. Brands today are forced to rely on advertising agencies, whose expertise is restricted to giving advertising solutions alone; or brand design companies, who look at branding from a very logo and identity design led expression. We also perform Logo designing, Overall Branding, Social Media Management, Business Presentations and 2d & 3d modeling. Alvino's brand designers use words and images to orchestrate compelling experiences that lead to marketplace differentiation and brand preference. Our approach combines design and architecture expertise with a unique point of view and strong communications skill set. The result: brands that build trust, inspire confidence and forge lasting relationships. 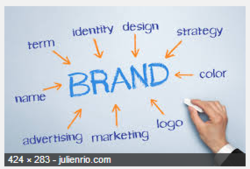 Your business/brand name is your identity in the business world. A carefully and wisely chosen brand supported by a unique logo will help you drive faster in business and will have lasting impact. A unique brand name will live for generations and flourish. Make the idea clear and simple, the design surprising and beautiful. We help Business to Grow Online! Our innovative solutions helps you right from conceptualize your brand to positioning it to right set of audience.